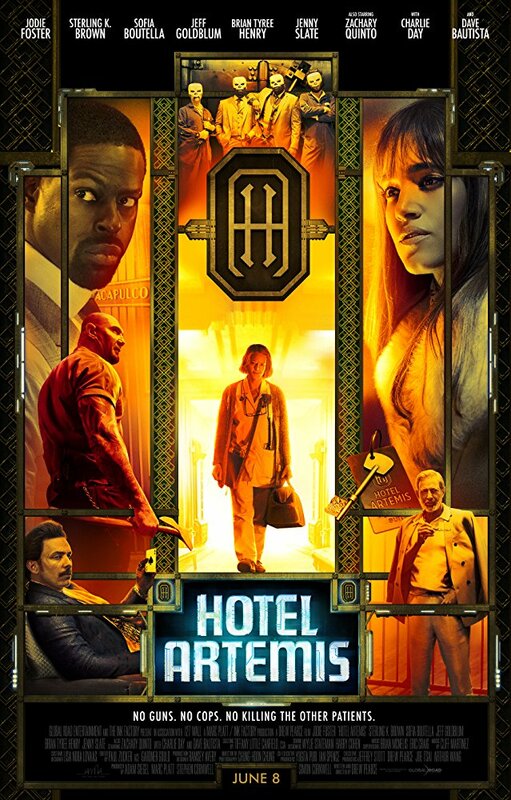 The Story: Set in riot-torn, near-future Los Angeles, 'Hotel Artemis' follows the Nurse, who runs a secret, members-only emergency room for criminals. Drew Pearce has been a prolific writer and producer in recent years having been involved with films like Iron Man 3 and Mission Impossible: Rogue Nation so his debut directorial effort would certainly be a highly anticipated affair. At least it should have been anyway, but for some reason this movie barely made a blip on the summer cinema radar although I'm guessing the story itself may have been a little too off the beaten path for studios to really latch on to. The movie is a mix of science fiction and quirky crime thriller that hints at a much larger world and a much bigger story taking place in the background. Going this route is intriguing, but it also made me want to see more that what Pearce chose to give us. 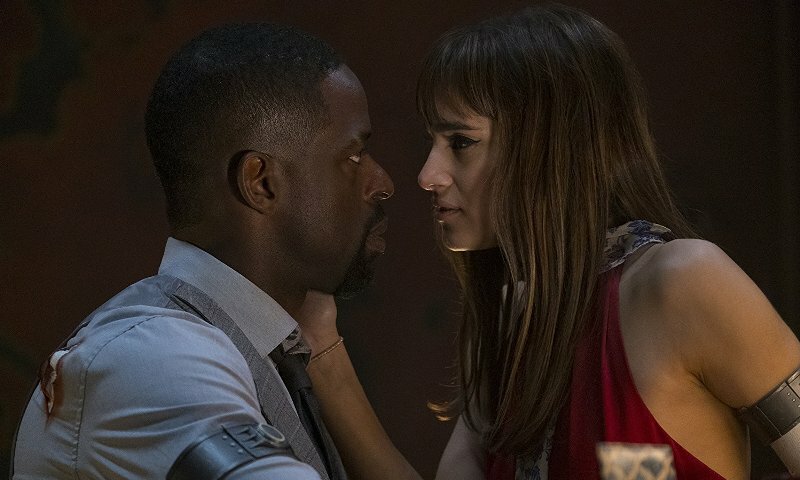 The biggest high point of this production has to be the casting with Jodie Foster at the forefront playing a rather unexpected role alongside co-stars Sterling K. Brown and Sofia Boutella and we also get to see interesting efforts from Dave Bautista, Jeff Goldblum, Charlie Day, Zachary Quinto, and Jenny Slate. 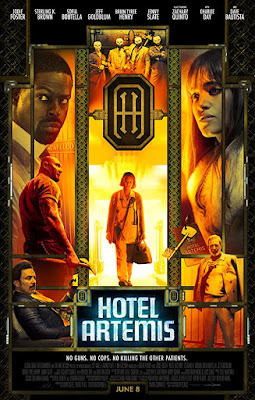 This is the type of movie that gives actors an opportunity to stretch their legs and do things they are not normally known for putting on screen and I really liked what I saw across the board. The performances are great, the story is filled with intrigue and suspense, and Pearce maintains an intimate feel that allows the focus to stay on the actors' performances.